Home / Primary / Curriculum / Key Stage 2 / Transition KS2-KS3 / Was Boudicca Britain's first hero? This unit centres on Queen Boudicca. 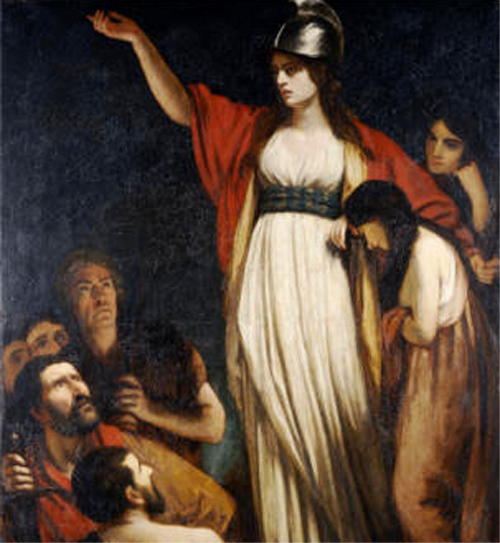 While factual knowledge about her life and the Roman occupation are an essential component of the unit, the main focus is on contrasting interpretations of Boudicca over time and exploration of the reasons behind her shifting reputation. What does the director want us to think about Boudicca? What do we think we know about Boudicca? How important was Boudicca in the Romano-British period? Why did Boudicca make a comeback?